Spleen - Angiectasis in a female B6C3F1/N mouse from a chronic study. 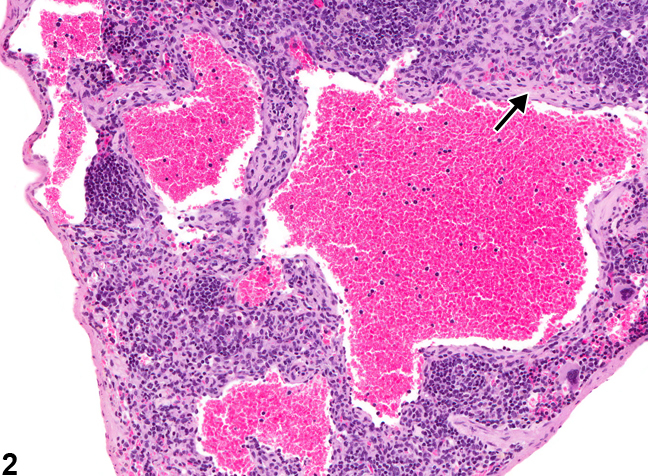 Multiple variably sized blood-filled spaces lined by endothelium (arrow) are present within the splenic parenchyma. Spleen - Angiectasis in a female B6C3F1/N mouse from a chronic study. 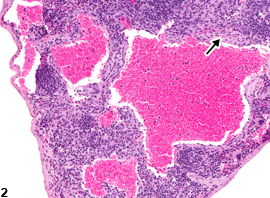 Angiectasis is associated with fibrosis (arrow) in the parenchyma of this spleen.